Every three months the City looks at all Bus Routes to see if they can make it better serve Calgarians by changing the pick up spot, times, or direction itself. Ward 4 has seen a few changes and they are below. For more info click here, and you can see other routes so that you can plan your trip accordingly. Route 4 Huntington – The weekday afternoon schedule has been adjusted between 3 p.m. and 6 p.m. to improve schedule adherence. The Sunday 6:41 a.m. trip from 6 Avenue and 1 Street S.E. has been extended, and service will begin from 6:15 a.m. from 78 Avenue Terminal. Please view the revised weekday and Sunday schedule. Route 5 North Haven – The weekday afternoon schedule has been adjusted between 3 p.m. and 6 p.m. to improve schedule adherence. Please view the revised schedule. 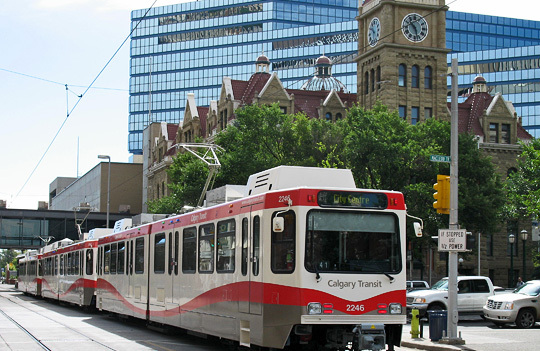 Route 54 Edgevalley – The 3:08 p.m. trip on weekdays from Dalhousie Station has been adjusted to leave at 3:11 p.m. to better accommodate transfers from the CTrain. A new school trip has been added at 2:50 p.m. to accommodate Tom Baines students. Please view the revised schedule. Route 77 Edgemont – Weekday times have been adjusted to improve schedule adherence. Please view the revised schedule. Route 89 Lions Park – Weekday times have been adjusted to improve schedule adherence. Please view the revised schedule. Route 116 Coventry Hills Express – Weekday times have been adjusted to improve schedule adherence. Please view the revised schedule. Route 300 BRT Airport / City Centre – The early morning trips: 4:45 a.m. and 6:07 a.m. on weekdays have been adjusted to leave at 4:41 a.m and 6:05 a.m. The 5:35 a.m. weekday trip from the Airport has been adjusted to leave at 5:32 a.m. Please view the revised schedule. Route 429 Sherwood – Route 429 has been renamed to Route 129. No route or schedules have been adjusted. Route 82/Nolan Hill – This new route will connect Nolan Hill, Sage Hill Hub (Walmart), Brentwood LRT Station and Beacon Hill Shopping Centre. Please view the revised route map and schedule. Route 129/Dalhousie / Sage Hill – Route name has been changed from Route 429 to Route 129. View the route map and schedule.